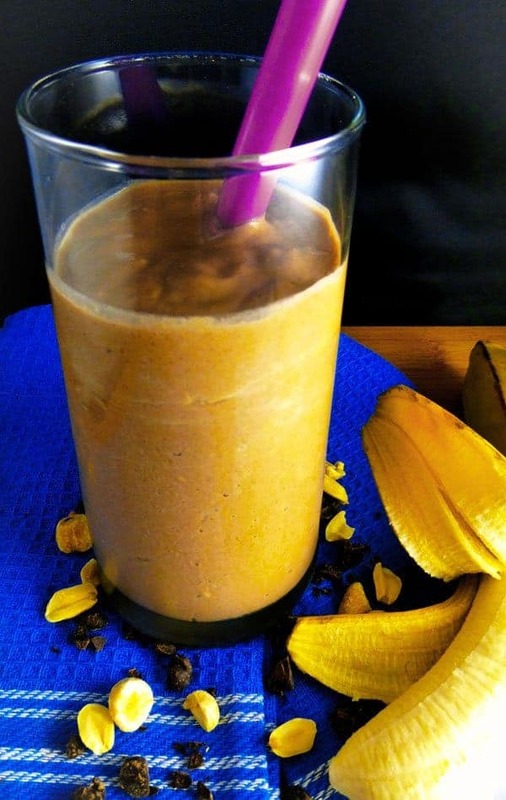 Here’s a smoothie that satisfies your peanut butter and chocolate cravings, but you don’t have to feel totally guilty about it. This smoothie is a favorite in our house. Little do my kids know that it has a little avocado and flax seed in it for extra nutrition. Even though my kids love to eat avocado, I don’t think they’d be as excited to hear there’s avocado in this smoothie so I accentuate the “peanut butter chocolate” part to excite them. The great thing about avocado in smoothies, especially coco/chocolate flavored ones is they’re not at all noticeable. Avocados used to get a bad rap for being high in fat and might still be shunned for being high in calories (about 230 calories per avo) but the truth is they’re a super food, full of healthy fats, loads of vitamins and can actually help lower cholesterol and may help with weight loss because they can help you feel fuller and reduce your need to snack. They’re high in fiber and protein, so the myth this calorie rich fruit is too fattening to consume on a regular basis is simply untrue. They’re also very low in sugar compared to other fruit. The list goes on with the health benefits of avocado, so don’t be afraid to add it into this yummy smoothie if you haven’t tried it before. If it's too thick for your liking, add a couple tablespoons of water or nut milk.